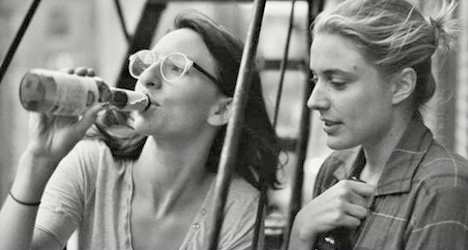 (From left) Greta Gerwig and Lola Kirke star in Noah Baumbach's new indie comedy "Mistress America." Like a lot of dialogue-driven, indie hipster comedies these days, there isn’t much that separates a screenplay from being extremely witty and extremely annoying. Where the line is draw for most people, however, depends on how much of that clever banter one can handle before the script starts feeling like a choreographed conversation that is way too smart for its own good. No one works as hard to play both ends of the spectrum as Oscar-nominated filmmaker Noah Baumbach. While films like “The Squid and the Whale” and “Frances Ha” have been funny, dark, charming, and sharply written, others like last year’s “While We’re Young” and his most recent “Mistress America” are a few notches too exaggerated. 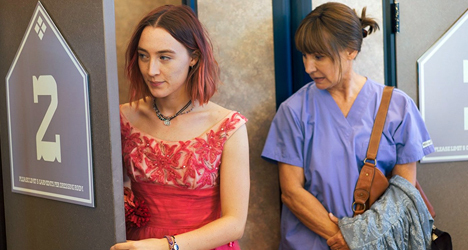 While we’re sure there are plenty of people out there as self-absorbed as actress Greta Gerwig’s Brooke, Baumbach doesn’t give audience reason to want to hang around with her for more than necessary. Baumach is better at writing profound characters than he at writing the peculiar ones. In the case of Brooke, she is the type of friend that is more manageable in small doses. Maybe that was the point, but Baumbach has written unlikeable characters before that go down a whole lot smoother.